Exciting New Products from Contessa. 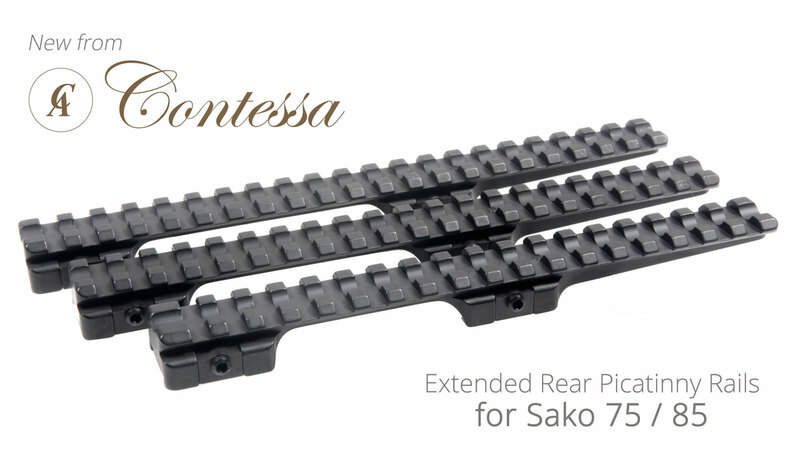 The Rear Extended Picatinny Rails for Sako 75 / 85. Ideal for shooters using Night Vision, a rail which allows you to achieve the perfect eye relief. With 75mm of rear extension back past the rear Sako base, supported and reinforced for guaranteed zero flex. Keep in touch on our various social media websites.